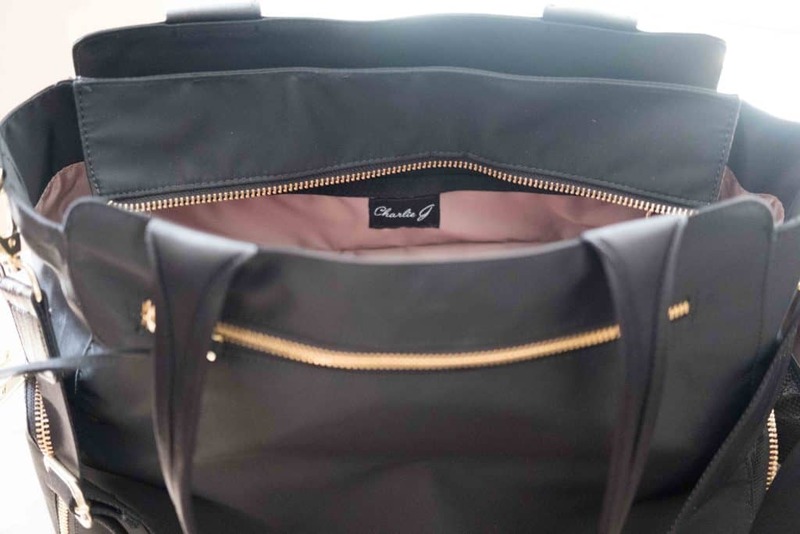 I recently received the chance to review The New Yorker Breast Pump Bag by Charlie G. I have been lucky to review several stylish breast pump bags and this is one of my favorites. If you are pumping at work a quality breast pump bag is a valuable investment. You are going to be carrying your pump, pump supplies, work supplies, lunch, and anything else you can think of it in it daily. The standard pump bag that comes with some pumps is not typically large enough for everything. 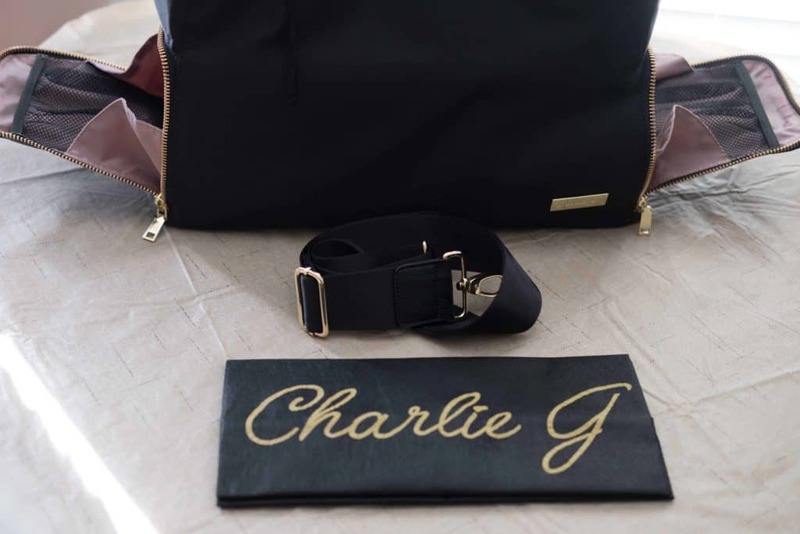 My first thought upon opening the Charlie G bag was that this bag was quality and super attractive. 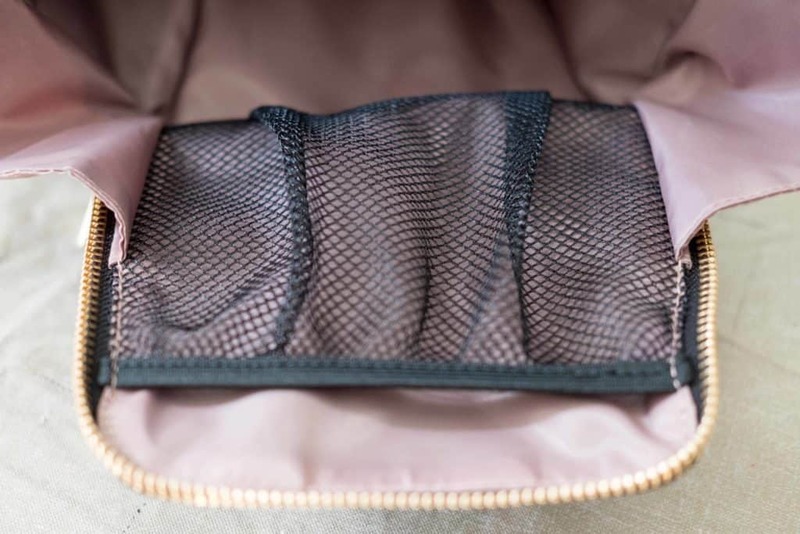 I love nylon bags because they tend to be durable and lightweight, and this bag has a high quality nylon finish I noticed right away. While looking at it more I was impressed with all the little details and organization within. 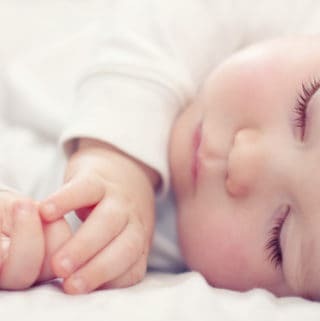 It was created and designed by a mom and it shows. 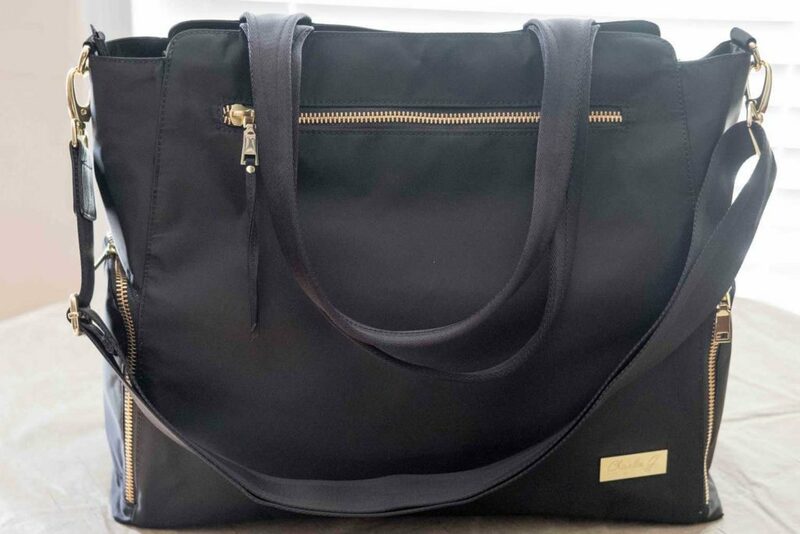 BRAND NEW FOR 2017 w/ BONUS DUST BAG- Professional designed and ultra stylish, The New Yorker Tote was designed by a working mother to be the ultimate solution for pumping. Easy to clean premium Cordura nylon is ultra durable and free BONUS dust bag will keep your New Yorker Tote looking brand new for years to come! UNIVERSAL PUMP COMPATIBILITY- Designed to fit all portable mass market pumps, including Medela Pump in Style (with or without a case) and Freestyle, Hygeia, Freemie, Spectra, Ardo and Ameda. Can be carried over the shoulder by the large drop handles or cross-body utilizing the 2” oversized strap. DEDICATED COMPARTMENTS – Insulated individual lower compartments house your pump and cooler away from your other belongings. Large upper compartment and slide pockets keep personal and baby items orderly. No more losing your keys or phone in a bottomless bag! MOTHER INSPIRED AND DESIGNED – Designed by a pumping mother specifically for the working professional. Classy and sophisticated design blends in seamlessly in any work or social environment. As I said the nylon black finish is gorgeous. I can tell it is a high quality material that will handle liquids and stains well, and seems like it will last forever. 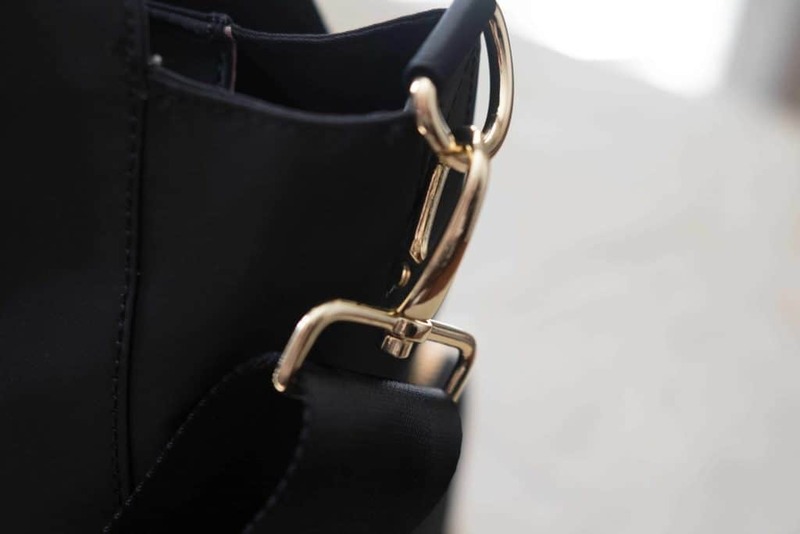 The metal hardware is gold colored and good quality as well with metal zippers and metal feet on the bottom. This bag is big and I wondered if it would be heavy but it’s not. I believe empty it weighs less than my diaper bag. 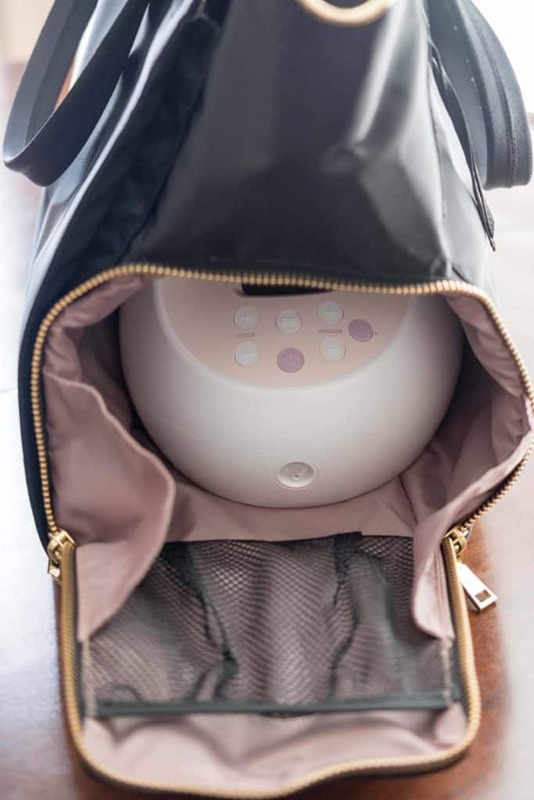 So, a high quality, durable, gorgeous, lightweight, and large breast pump bag? Yes, please! It features two insulated lower side compartments for a pump and supplies. This is similar to many breast pump bags but then there is a separate upper compartment on top of them. It is completely separated so while you can have your pump supplies below, you can have personal items on top without them sinking down into a black hole with protruding pump pockets in the way. I wasn’t expecting this and it’s a clever feature and one I have not seen on a breast pump bag before. There is a large slide pocket on the side for a laptop and other personal supplies. 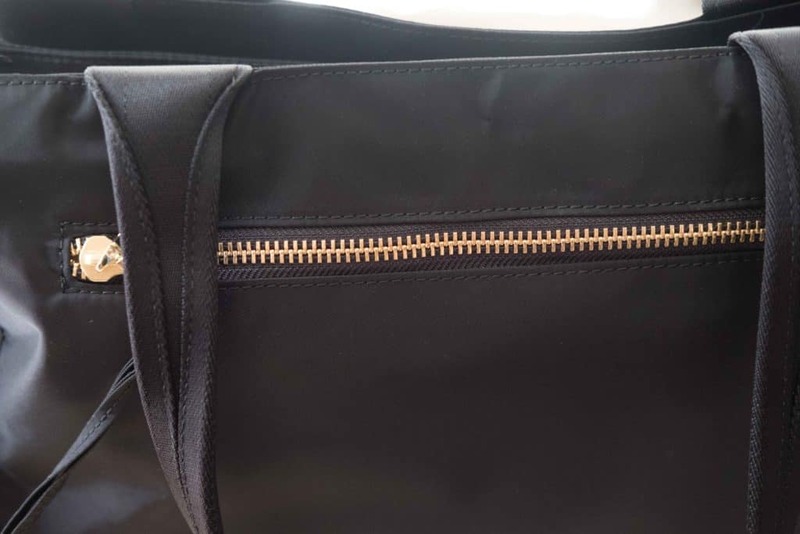 There are outer pockets as well on the front and back of the bag, and zippered pockets within the slide pocket. It has two shorter straps and a detachable thick long strap which can be adjusted and used cross body. It also comes with a dust bag to store it in. 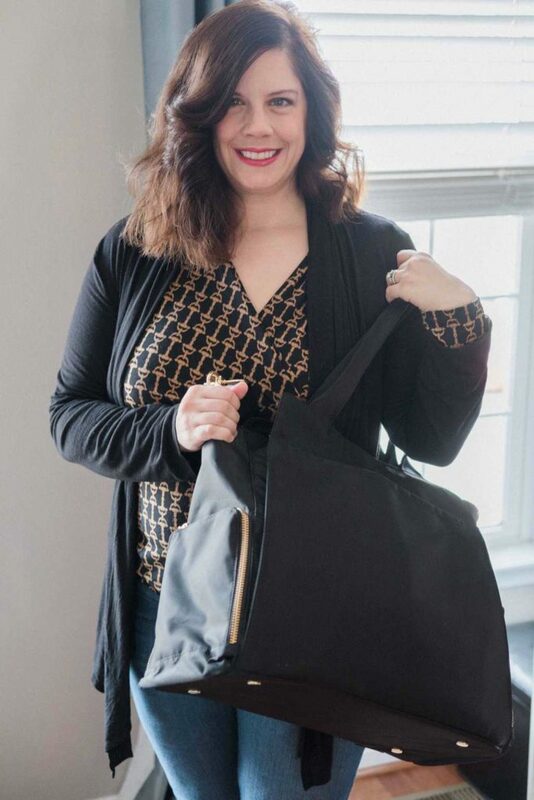 This bag makes hauling your breast pump and supplies while staying organized more than easy. I tried my Spectra S2 in the bag and had no issues fitting it at all. I don’t currently work out of the home but I almost wish I did so I could take this bag to work everyday. 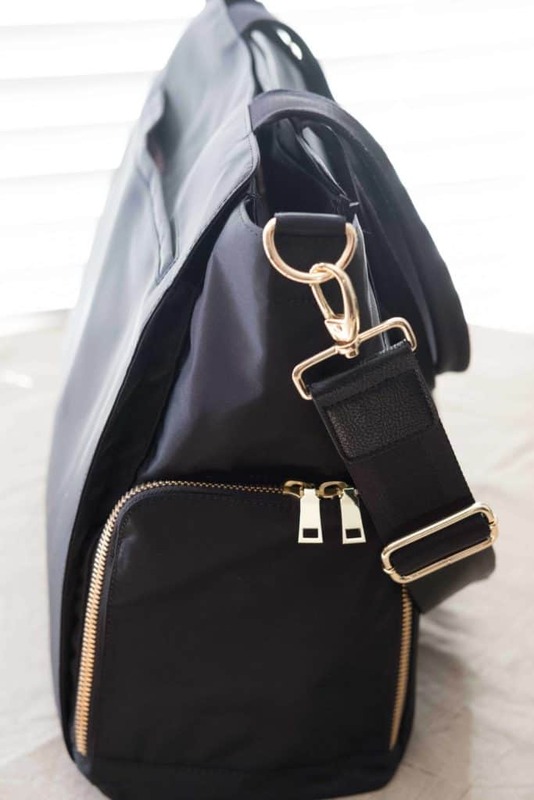 It can be used as a diaper bag as well though, because it’s stylish, it’s huge, and it has lots of organization. I feel completely comfortable recommending this bag and think it’s a great investment for a pumping mom. 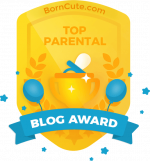 Of course it would make a wonderful baby shower gift as well. The New Yorker is 18 x 8 x 15 inches and weighs less than 2 pounds. You can find it here on Amazon!